The best paper and poster awards were announced on May 3rd. • Harry Halpin: Does The Web Extend The Mind? These awards were sponsored by Now publishers. Two prizes of EUR 250 will be awarded for the best paper and best poster. The winners will be announced during the conference (tbc). Please note, if you are an author of an accepted paper you need to register to attend the conference no later than April 8th 2013. Authors of accepted extended abstracts will need to register no later than April 16th 2013. Registration for Web Science 2013 is now open http://www.websci13.org/registration/ Part of the ACM European Computing Research Congress (ACM ECRC) at the Palais du Congress May 2-4th, with Vint Cerf, co-inventor of TCP/IP and “Father of the Internet”, and Cory Doctorow, novelist and technology activist, as some of the keynotes. Registration also includes attendance at any of the WebSci or Hypertext workshops, and the cost of a reception on the evening of 2nd May. The second call for Papers, and the call for workshop proposals for WebSci13 is now available. Now is the time to get your paper written to meet the end of month deadline. We are looking for 10 page papers or 4 page notes. As always with Web Science, the method of publication and the method of presentation at Web Science is separated – and we normally enjoy vibrant panel and poster sessions as well as a range of talks and keynotes. Paris in springtime is a wonderful location for a conference and we are looking forward to sharing the Palais dès Congrés with the other ECRC conferences – including Hypertext, with whom we will be sharing our workshop series. We will be managing to keep the conference fees remarkably low for such a prestigious venue, thanks to the generous help of the ACM. Workshops add an opportunity for you to get specialist and interdisciplinary groups together, and by sharing our program with Hypertext we hope to have something for everyone. So plan a long enough stay to include the workshops which will be on May 1st (yes May 1st – in France…) and on May 5th, which are on either side of the main conference which will run May 2nd – May4th. 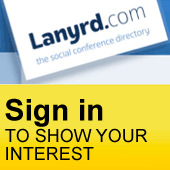 Web Science 2013 (May 2-4th in Paris) – Call for Papers announced! Today, the Call for Papers for Web Science 2013 was announced. We’ll be part of the ACM European Computing Research Congress (ACM ECRC) at the Palais du Congress May 2-4th and will have Vint Cerf, co-inventor of TCP/IP and “Father of the Internet”, as one of our keynote. A panel organized by Alex “Sandy” Pentland (MIT) will be announced shortly, as well as additional speakers and events. Start working on papers – they are due February 1st 2013. See the Call for Papers for details!